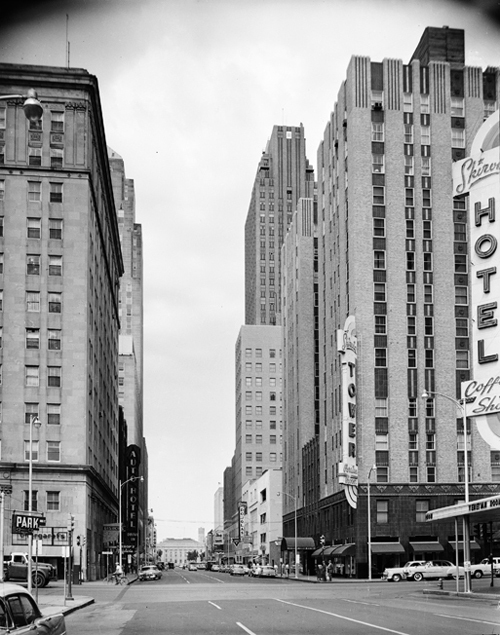 The Skirvin Tower is on the right, across the street from the Skirvin Hotel. In the distance on the right is the Ramsey Tower; on the left is the First National Bank Building. The County Courthouse is seen at the end of the street.